In labor, continuous monitoring increases the risks of many interventions, including pitocin, epidurals, and cesarean birth, without improving birth outcomes for mother or baby. Asking a woman in labor to be still (and often in bed) so the monitor can do its job is not a benign request since it can result in a longer labor and more painful contractions. The American College of Obstetricians and Gynecologists (ACOG) doesn’t recommend routine continuous monitoring in labor. It is sometimes possible to be monitored near the bed (sitting on a birth ball, standing and swaying, leaning on the bed, etc.) rather than in bed, to increase comfort and encourage the labor to continue to progress. When mothers or babies need to be continually monitored, it is sometimes possible to get a telemetry monitor, which can be worn and allows the mom to walk the halls during labor. Babies are expected to have periods of sleep and wakefulness during labor. They will usually have a flat (steady) heartbeat during sleep and a baseline variablity during the times they are awake. Only the variable heartbeat is considered reassuring, so more monitoring is often done when a baby is initially asleep. Cold and sweet foods make babies move. Eating something cold and sweet prior to monitoring will help ensure a variable heartbeat and a shorter period of monitoring. Normal fetal heart rate is 110 to 160 beats per minute. A heart rate that is below 110, above 160, or flat for long periods of time is considered non-reassuring. The old term is fetal distress, but the wording was changed to acknowledge that no one can say for sure that a baby is in distress based on heart tones alone. Monitors can distract support people’s attention away from the laboring mom, and some families choose to turn the audio off and cover the monitor. Electronic fetal monitoring will show the length and frequency of contractions, but not their relative strength. Women birthing in hospitals can expect a period of monitoring of about twenty minutes when they are admitted in labor. Those birthing in free standing birth centers and at home will not have to meet this requirement. Interventions such as pitocin (used to induce or augment labor) or epidurals, and conditions such a premature labor, require continuous monitoring because of the increased risk. There are alternatives to electronic fetal monitoring. Fetoscopes can pick up the babies heart rate without exposing mother and baby to ultrasound. Since dopplers are handheld they are usually not used for more than a few minutes at a time, and thus are usually more comfortable than electronic fetal monitors which are held on with belts. If you are on the electronic fetal monitor, consider asking the nurse how long you’ll be on, and buzzing her after that amount of time if she’s not with you in order to be taken off the monitor. Internal monitors are both more accurate and more invasive than electronic fetal monitors. They are often accompanied by a fetal scalp blood sample, which gives additional information about the state of the baby. They require the bag of waters to be ruptured if it hasn’t released on its own, and once placed are usually used for the remainder of the labor. They are used when there is a concern about the baby’s heart rate, or when it is difficult to get the heart rate. Because they are less likely to produce a false positive reading, they can help to avoid an unnecessary intervention. Julie Brill, CCCE, CLD is the author of the doula anthology Round the Circle: Doulas Share Their Experiences. She has taught thousands of childbirth students over the last twenty-four years and is currently offering independent childbirth classes and CAPPA workshops for childbirth educators and labor doulas. The car ride, answering questions, meeting new people, being in the place where she’s going to have the baby, can cause your partner to secrete adrenaline, which slows down labor. Help her find her rhythm again so the contractions can pick up. If she was laboring in the shower or tub at home, help her get back into water. If she was walking, help her get out of the room and walk the halls. If an intervention is suggested, ask questions about benefits, risks, and options between contractions. What would happen if you did nothing? Remember that most situations are non-emergencies, in which case there is time for a second opinion. If you have concerns or questions, discuss them with your doula, nurse or midwife. Julie Brill, CCCE, CLD specializes in natural, VBAC, and refresher childbirth classes in the Boston area and via Skype. She also offers Prepare for Cesarean Birth, Heal Faster workshops over the phone. She trains childbirth educators and labor doulas for CAPPA and is the author of the doula anthology Round the Circle: Doulas Share Their Experiences. By Julie Brill	| April 13, 2016	| Comments Off on Pregnant? Prepare Now for Breastfeeding! 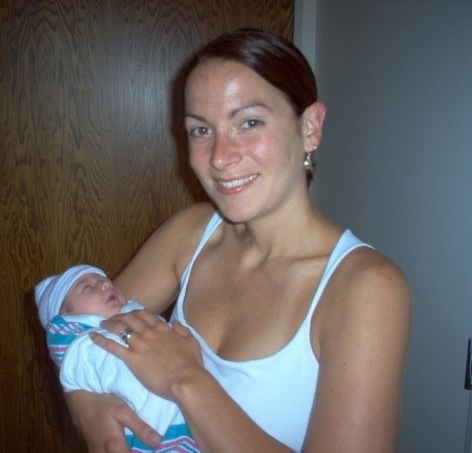 When I was pregnant with my daughter in 2009, I signed up for Childbirth Education classes. I had done so much reading and watched so many births and documentaries and as prepared as felt I could be, I was also still really fearful of the labor and birthing process. When it was time, I attended my classes throughout a 6 week series. I then realized how much I stood to learn by taking these classes. My instructor was an amazing woman. A mother of four children and a full time childbirth educator. She made class something I looked forward to each week. I met dear friends in class and I am still close with them to this day. I will always be grateful to my instructor for what she gave to me in terms of knowledge and confidence. She taught me so much more than I could have imagined and she played a huge role in how I approached my own process and birth intentions. Exercises we did in class aided me in making major decisions about my care and my labor. I went into early pregnancy having one plan, and only one plan, in my mind as far as my labor and birth were concerned. And then I was induced. Things did not go as “planned”, (they often don’t!) and I was faced with many decisions in the process. Throughout my induction of labor, so many things I learned in class came into my mind and allowed me to make informed decisions regarding my labor and my birth and the approach I took to caring for my newborn daughter, once she was born. I can’t imagine going through that process without the knowledge that I had gained in my classes. Within days of the birth, I decided that I wanted to become an educator. The process took me some time, as I had one more baby while pondering how and when to make it happen. In the meantime, I became a labor & postpartum doula and finally, I decided to take the plunge and register for the childbirth educator certification program with the amazing Julie Brill, along with the encouragement of my dear friend Maria Rossi Noyes. Upon taking my class with Julie, I was determined to jump in headfirst and complete my certification as soon as I was able. Within months, I had successfully completed my requirements and had achieved my goal. 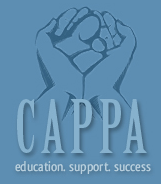 I was officially a CAPPA certified childbirth educator. This path has led me on so many incredible adventures. I have had the honor of working with mothers and families of all ages and backgrounds. I have worked in Vermont, New Hampshire, and Massachusetts in private settings, midwifery offices, hospitals, and a mental health agency. I have used my doula skills, personal experiences, and the training I received from Julie Brill in my day to day work as a childbirth educator and not a day goes by where I don’t feel inspired to learn more, to do more, to be more for my students and families. I am current employed by a hospital and I am instructing the Preparing for Childbirth classes, Newborn Care, and Breastfeeding classes. While doing this, I am working towards my certification as a Teen Educator in hopes of implementing a program within my hospital. Each day I work, I meet families and mothers who have the same fears and anxieties that I faced going into childbirth and parenting. I invite them to share their feelings with me so that I can do my best to alleviate some of that for them and open their minds to working towards the best birth experience possible for them. I love when a family comes out of my classes with their questions answered and their horizons expanded. All in all, I have been so fortunate to have had the experiences that I’ve had as an educator and I’ve built a lifelong career doing something that I love. I hope to continue to make an impact on the lives of my students doing something that I am incredibly passionate about. I am blessed to be able to work with and teach expecting families, nurses, and doulas in the process of certification. Along this path, I have had the honor of working with amazing childbirth professionals and I’ve gained a community of people who I hope to work with indefinitely. Ann Tohill, CLD, CPD, CCCE, CLC runs Mountain Mama Doula and can be reached at mountainmamavt@gmail.com. Imagine a woman giving birth. What position do you see her in? If, like most people, your views on birth have been shaped by what you see on tv and in the movies, you likely imagine her lying flat on her back in a hospital bed. Traditionally birth took place at home, and people formed their impressions by direct experience. When birth was largely institutionalized in the United States in the first half of the last century, most people no longer witnessed births, except those of their own children, and so media images came to replace live ones. For more information on the way that media influences our perceptions of birth, I highly recommend the documentary Laboring Under an Illusion. Lying flat on the back, also known as the lithotomy position, turns out to be one of the hardest positions there is to give birth in (short of standing on your head!) It can cause non-reassuring fetal heart tones and more pain. The more upright the laboring mother is, the more gravity will help her baby to descend. I tell my childbirth classes that labor is the one time in a woman’s life when gravity is her friend! Very few un-medicated women would ever choose to labor on their backs. In labor we get important signals from our bodies about what positions are best. Women who labor in the positions of their choice experience shorter labors than those whose movement is restricted. In many places in the world where people live without cook stoves or toilets, they squat frequently. Because Americans over the age of three or four rarely squat, getting reacquainted with the squat during your pregnancy is worthwhile. You can do a free squat, hold on to someone or something, or squat with your back against the wall. Place your feet far enough apart that you can get your heels flat on the floor. Hands and knees, or knee chest, is an excellent position for back labor, because it helps to move the pressure off the mother’s back. Back labor is often caused by the back of the baby’s head, rather than her face, being against the mother’s spine. This position can often cause a longer labor, because the baby usually needs to rotate to be born. Knee chest helps to rotate the baby into an easier position. For information on how to prevent and handle back labor, Spinning Babies is an excellent resource. A position to try when labor is slow is lunging. If lunging on a side feels neutral, try lunging the other way. Often one side will feel really good. When a baby is acinclitic (crooked) his head is disproportionately on one side. Lunging will feel good because it opens the pelvis to relieve some of the pressure, while also give the baby room to rearrange her head. Julie Brill, CCCE, CLD has been teaching childbirth classes in the Boston area since 1992 and mentoring childbirth educators and labor doulas since 2003. She specializes in natural, VBAC, twin, and refresher childbirth classes. Julie is the author of the doula anthology Round the Circle: Doulas Share Their Experiences. To register for a childbirth class or a childbirth educator or labor doula training visit www.WellPregnancy.com.